thanks to the great offers at the humble bundle I got around to play the telltale game series "The Walking Dead". I really had a great time and can definitely recommend this game to you! That is why I wanted to make a papercraft of a special item of the game. And what could be better than the hat of Clementine. I hope you enjoy(ed) the game as well. 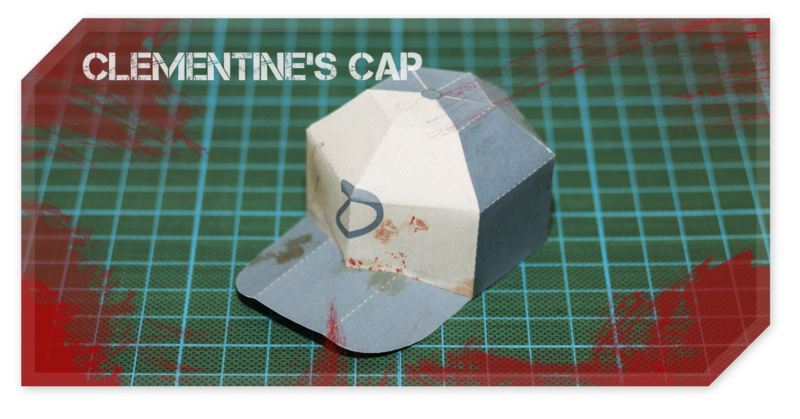 And you will have also a great time by making your own Clementine's Cap! See also my Icekubus-Cap, Mr. Moe-Cap and the Lil-Rascal-Cap.